Single atom catalysts hold a great potential in heterogeneous catalysis. In this model study, we report on the observation of Pt single atoms in low-melting-point Pt–Ga alloy prepared on modified highly oriented pyrolytic graphite (HOPG) under ultrahigh vacuum (UHV) conditions. In the first part, we examined the growth of Pt nanoparticles (NP) on HOPG modified by Ar+ bombardment. 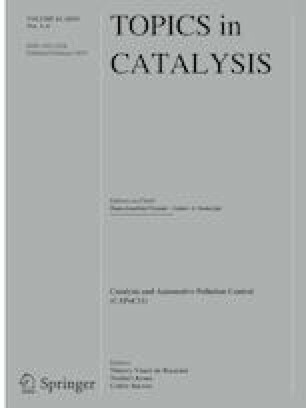 In the second part, we used physical vapor co-deposition of Pt and Ga to prepare model systems for supported catalytically active liquid metal solutions. We employed infrared reflection absorption spectroscopy with CO as a probe molecule and atomic force microscopy to study the growth and adsorption properties of Pt–Ga aggregates in comparison to Pt NPs. The presence of CO during Pt deposition leads to formation of ordered Pt particles mainly exposing terrace sites. On Pt–Ga nanoalloys, CO induces Pt segregation to the surface. In contrast, Ga deposition onto Pt in UHV or evaporation of small amounts of Pt onto Ga results in the formation of isolated Pt atoms on the surface of the alloy. Comparing alloys with different Pt concentrations, we show that the coordination environment around Pt influences the binding energy of the adsorbed CO. This project was financially supported by the Deutsche Forschungsgemeinschaft (DFG). In particular we acknowledge support by the DFG from the Excellence Cluster ‘Engineering of Advanced Materials’ (Bridge Funding).